But which is the best all-rounder to use every day? Hot hatchbacks need to be fantastic all-rounders. Not only do they need to excite on the drive to work and on the school run (while loaded up with all the family paraphernalia), but also capable of sitting on the motorway without giving you ear- and backache after a few hours behind the wheel. 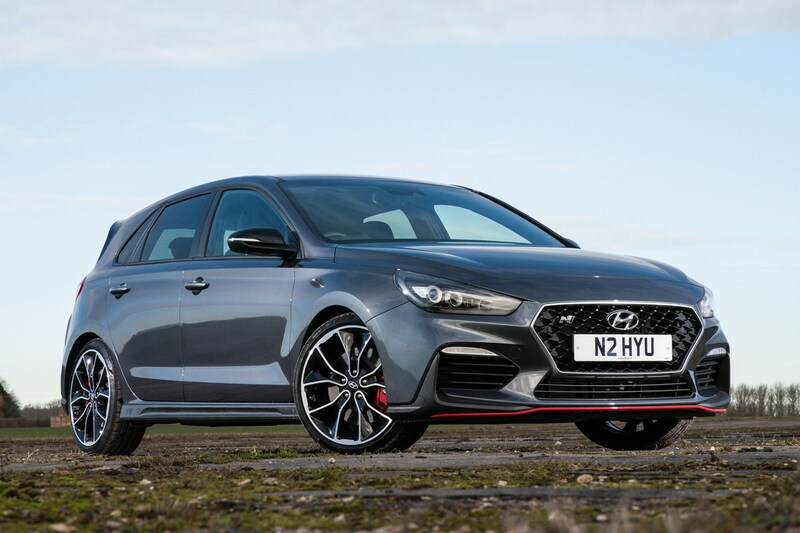 The new Hyundai i30 N has its work cut out, with fierce rivals in the form of the Volkswagen Golf GTI and Peugeot 308 GTi, among many others. 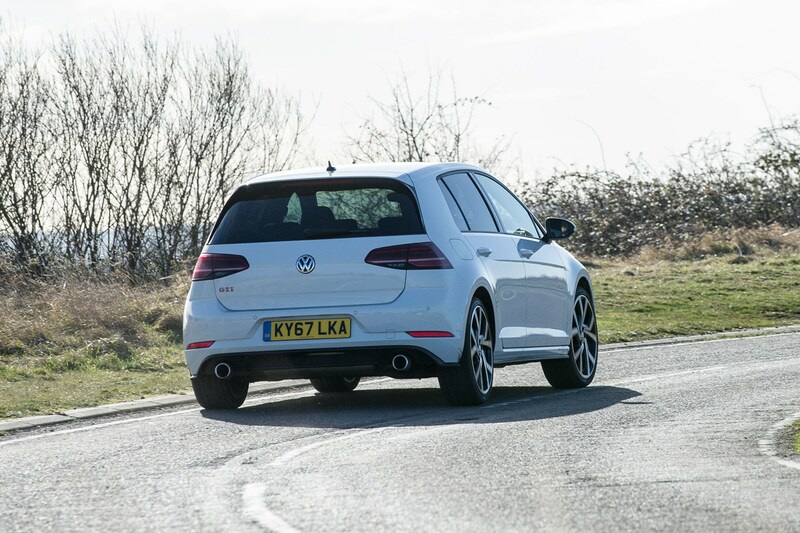 We've got the newcomer to face its toughest competition - can it topple the Golf GTI for grown-up enjoyment? 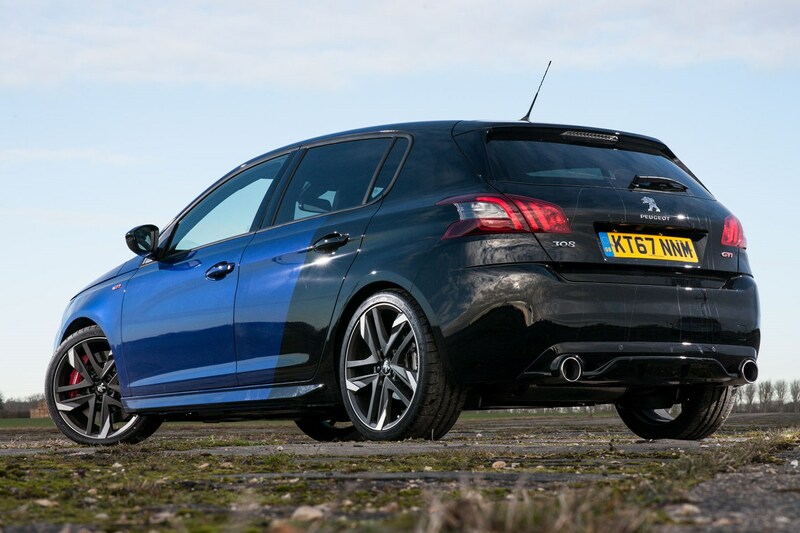 And can it dethrone the 308 as our favourite front-wheel drive cheap fast car? 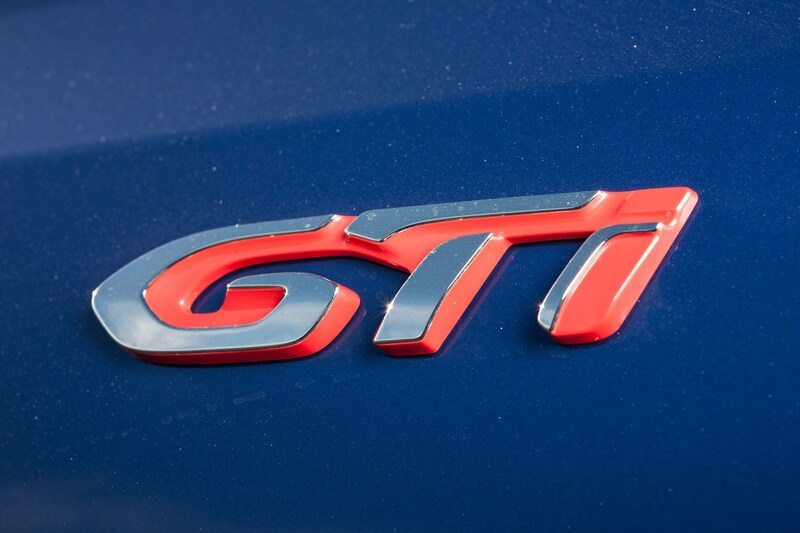 A great hot hatchback needs to be able to make you squeal with excitement on a tight and twisty road, of course, with fabulous feedback and taut body control. 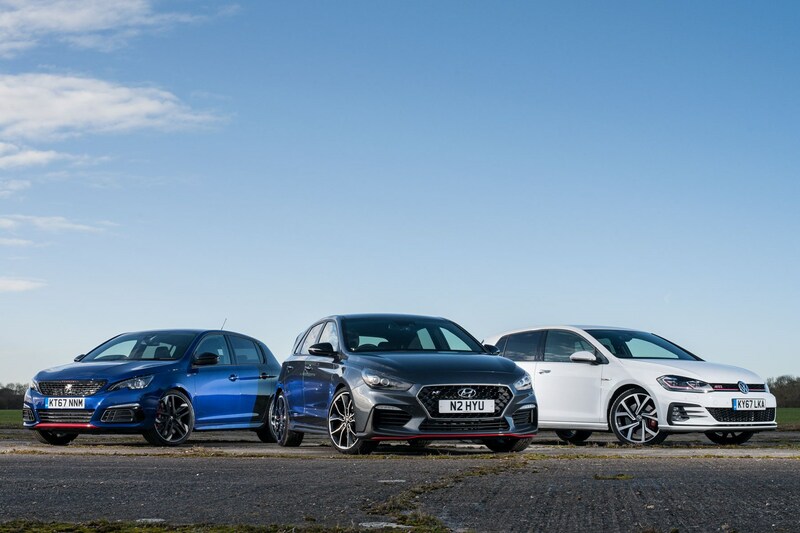 But the best hot hatches are also able to tone it down for when you're sitting on the motorway, they need to be able to ride speed bumps without breaking your back and shouldn't make your passengers feel ill. 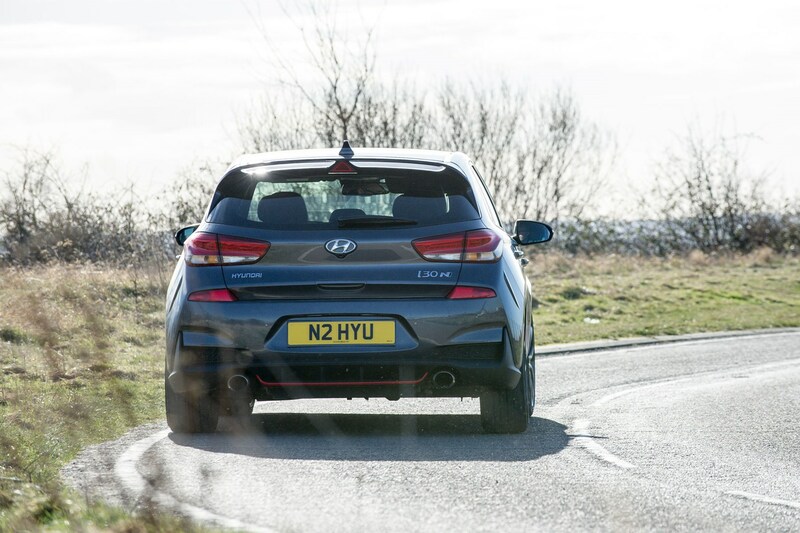 The i30 N is a seriously effective hot hatch, made all the more impressive when you realise it's Hyundai's first proper attempt at one to take on the class best. 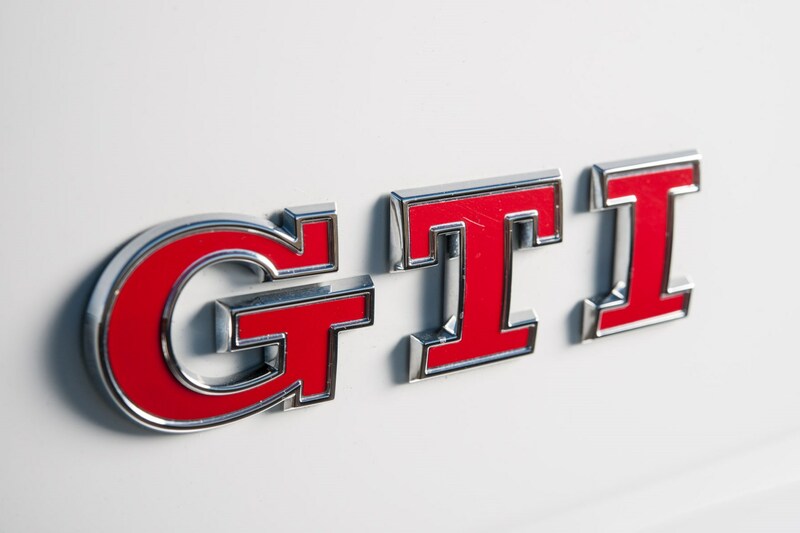 The turbocharged 2.0-litre T-GDI petrol produces a muscular 275hp in Performance spec, and it shows. While it's all too keen to spin its wheels even in third gear, it makes a genuinely interesting noise with an addictive crackle and pop coming from the exhaust. 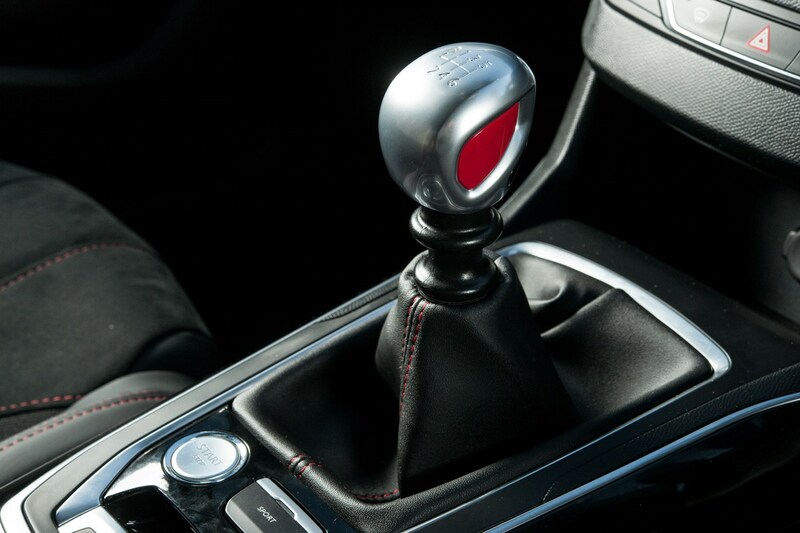 The steering is fabulously communicative, the body control tight and cornering grip excellent. You can really push the Hyundai to its limits without it feeling intimidating. The ride is the biggest compromise here, but it's not too jarring in Comfort mode for when you're not going wild. But a choice of other modes - in particular N Custom - are available to tweak the steering, engine and suspension to your preference. 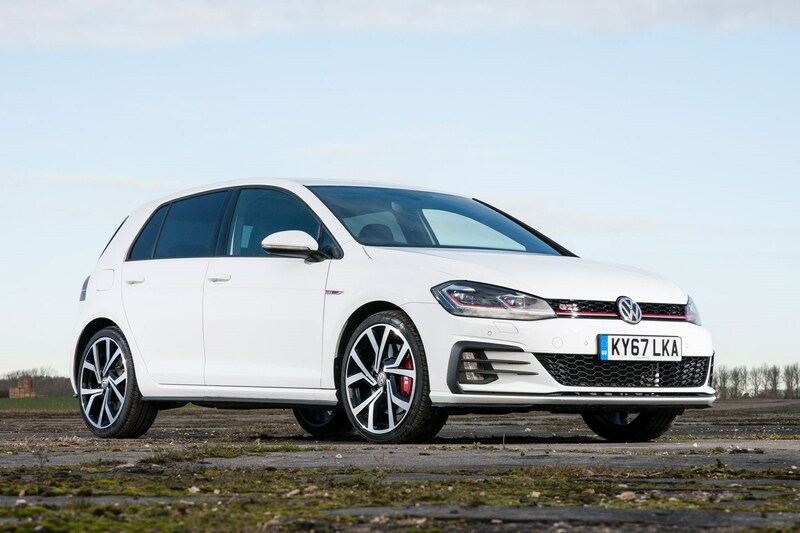 And it has a rev-matching function which is very Honda Civic Type R.
The Golf GTI has always been the most grown-up hot hatchback, appealing to enthusiasts and more mature drivers alike. But with the Performance Pack fitted boosting power to 245hp from 230hp and a fruitier sound to the exhaust, it gives the more playful i30 and 308 a run for their money. 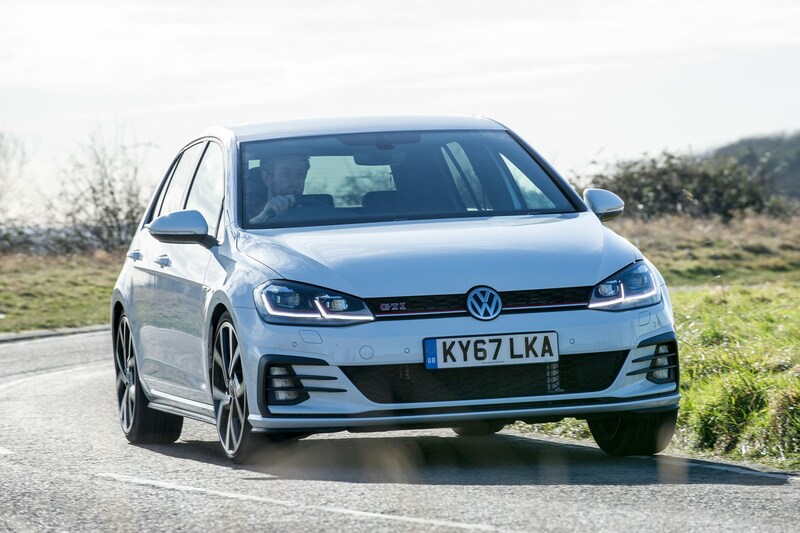 Despite the power deficit, the Golf doesn't feel any slower than the other two on a normal road, meaning you don't feel like you've got the raw end of the deal. The steering isn't quite as communicative as the i30's and the engine not quite as willing to pull as the 308's, but the overall feel takes some beating. The controls work with excellently slick precision, the gearbox in particular feeling precise and the driving position spot on. And while the sound coming through to the cabin is partly synthesised, the exhaust will crackle if you really try, and it'll still put a smile on your face on a country lane. Like the i30, there's a choice of driving modes, but with less severity between them. You could realistically drive around in Sport all the time and not feel uncomfortable like you would in the i30's N mode. It doesn't feel like it's on edge like the i30, which isn't as exciting on a smooth, twisty piece of road, but the way it blends fun and sensibleness means it's a tough all-rounder to ignore. 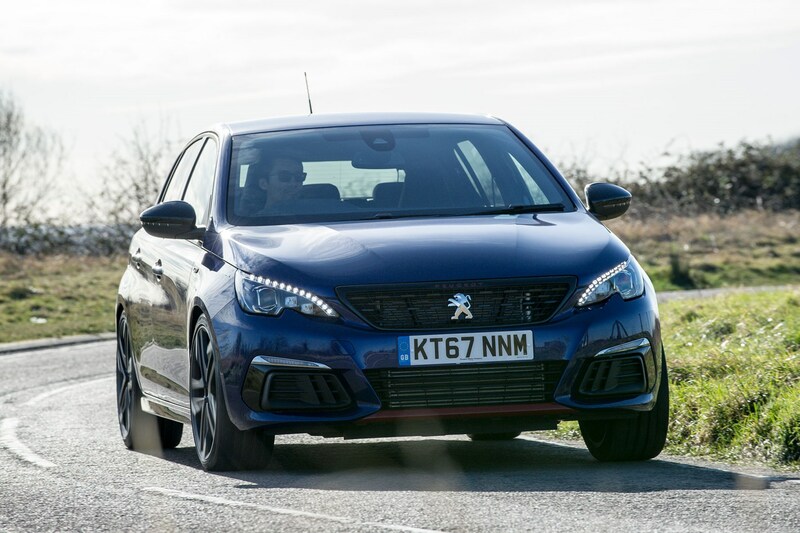 The 308 GTi can feel a little like the forgotten car among the fierce hot hatch sector, but it shouldn't be. 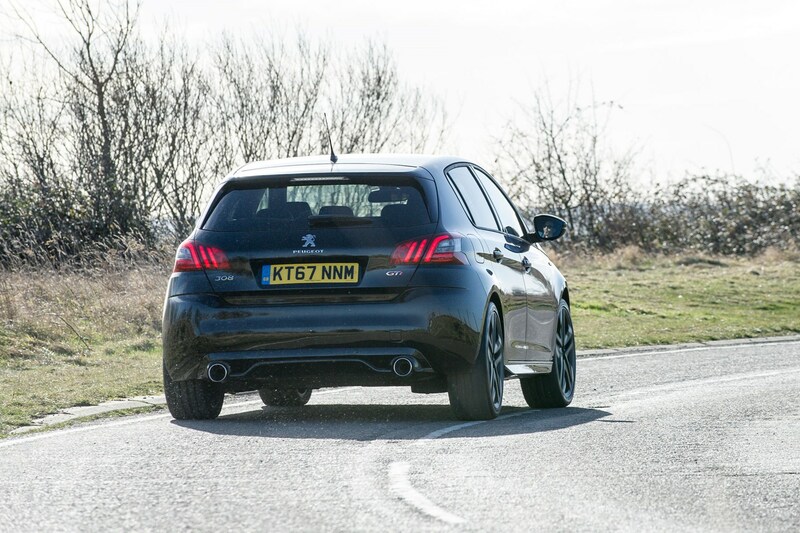 In fact, it walked away as our favourite front-wheel drive cheap fast car in our 2017 cheap fast cars group test due to its corner-shattering grip levels and eager front-end. 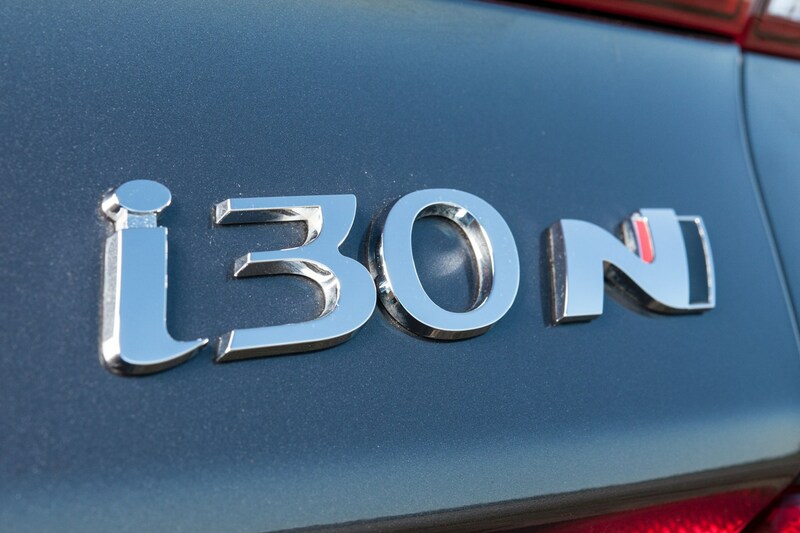 But with the introduction of the excellent i30 N, it's got a tough job on its hands to retain the title. The 1.6-litre turbocharged engine produces 270hp and feels every bit as eager and muscular as the figures suggest, with 330Nm of torque helping to slingshot it down the road. Body control is impressive but the 308 suffers from the most fidgety ride here and a disappointing gearbox. There's nothing wrong with how precise it feels, but the throw of the shift is far too long compared with the others here, and the steering lacks the communication offered by the Hyundai. The Peugeot doesn't offer the breadth of configuration delivered by the other two when it comes to driving modes, either. 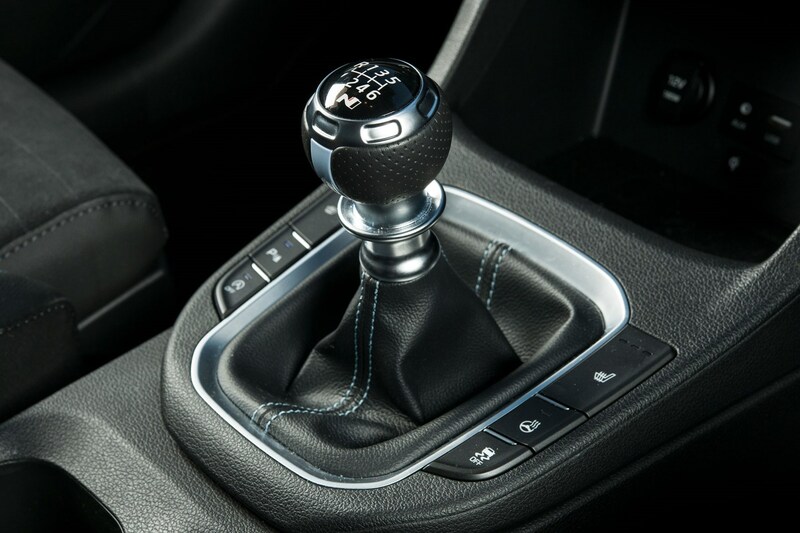 There's simply a Sport mode and, while we like simplicity, it doesn't give the driver the chance to hone the experience. The difference between the modes isn't as defined as in the others, either. That's not to say the Peugeot is bad. Far from it. 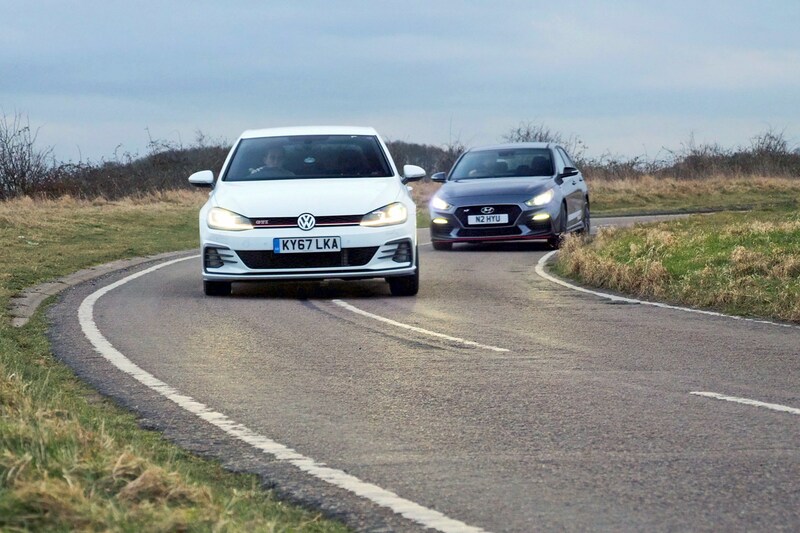 It still boasts one of the most agile drives of any hot hatch and an impressive powerplant, but the strengths of the i30 N Performance and the evergreen Golf GTI are starting to show it up. There's no hiding from it - people buy hot hatchbacks because they're capable of carting the family around and doing the weekly shop just as well as they can put a smile on your face when you go out for a drive 'just because'. 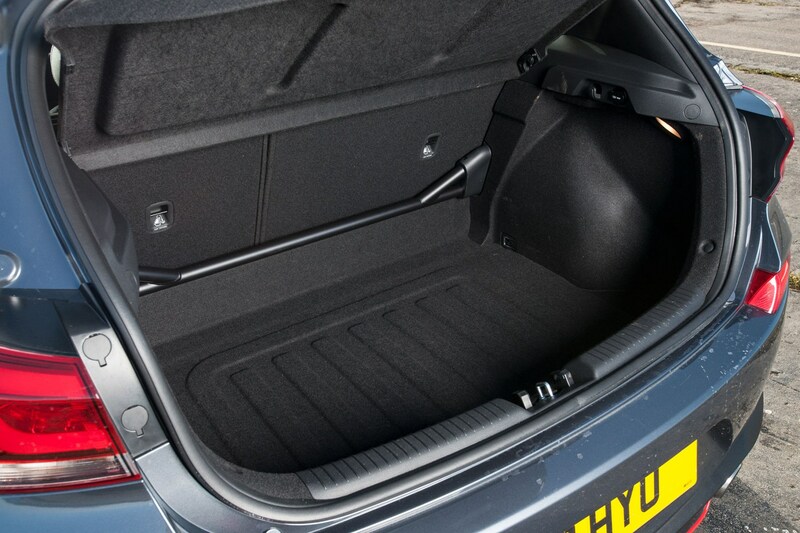 The i30 N offers a practical 381-litre boot with the rear seats in place, but if you want to fold the seats down, you've got a big strut brace running the width of the car to contend with. This isn't a car for trips to Ikea in. 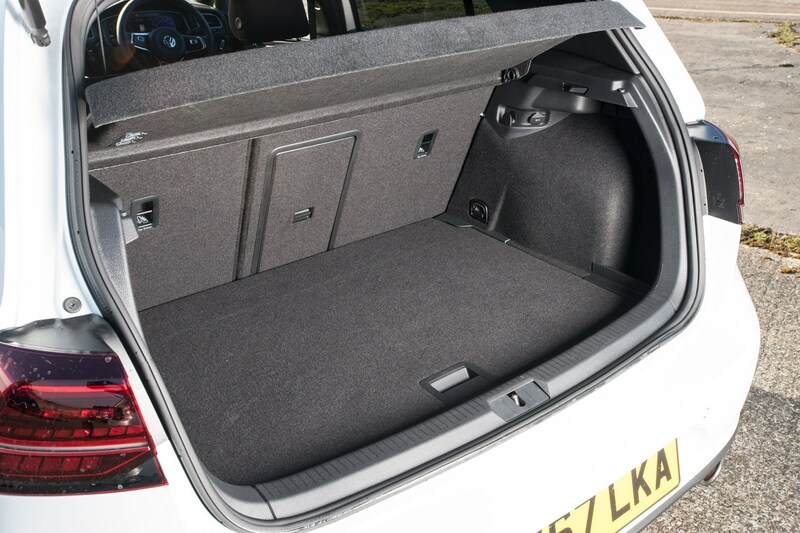 That said, it's easy to access and space in the back is generous, if not as generous as the Golf. 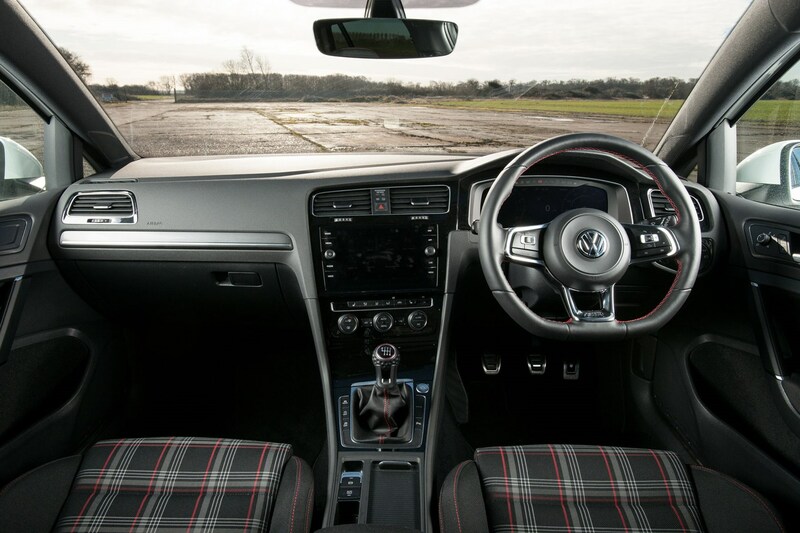 When it comes to passenger space, the Golf wins here. Head and legroom both front and rear are excellent with space for five adults reasonably comfortably. 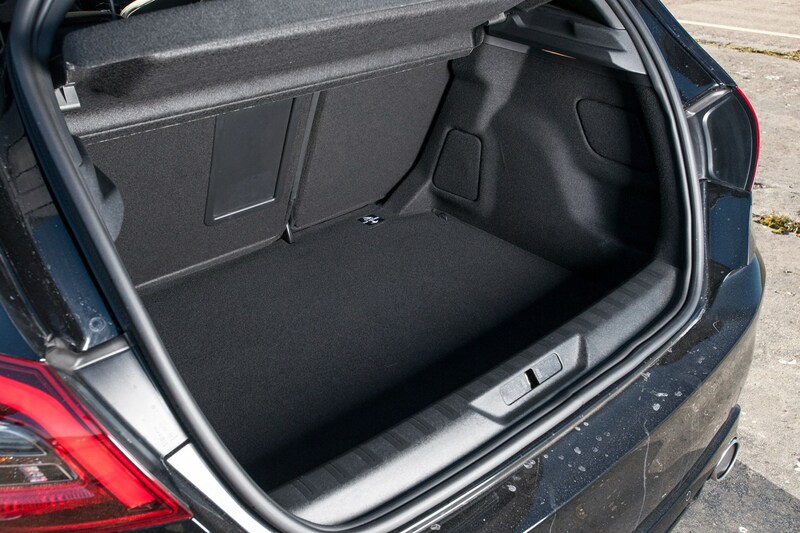 The boot is the smallest at 380 litres, but an adjustable-height boot floor boosts practicality. The Golf also offers the most amount of storage cubbyholes throughout the cabin, which is ideal for those travelling with young children. Despite the practical five-door bodystyle, the 308 is the least practical for passengers in this test due to the tight rear legroom. With a tall driver, space for your legs is very limited, although headroom is acceptable. The 308 trumps both its rivals with a huge 470-litre boot, though. The i30 offers the most extensive kit count of the three cars here, which counts for a lot. The seats are excellent with grippy Alcantara and extendable thigh support, but the overall feel inside is just a little drab. The plastics used are nowhere near as impressive as the VW's, making it feel quite a bit cheaper inside. But then, it is quite a bit cheaper than the Golf in the first place. The Golf walks away with this one easily. The regular Golf has a restrained design, but it just works. 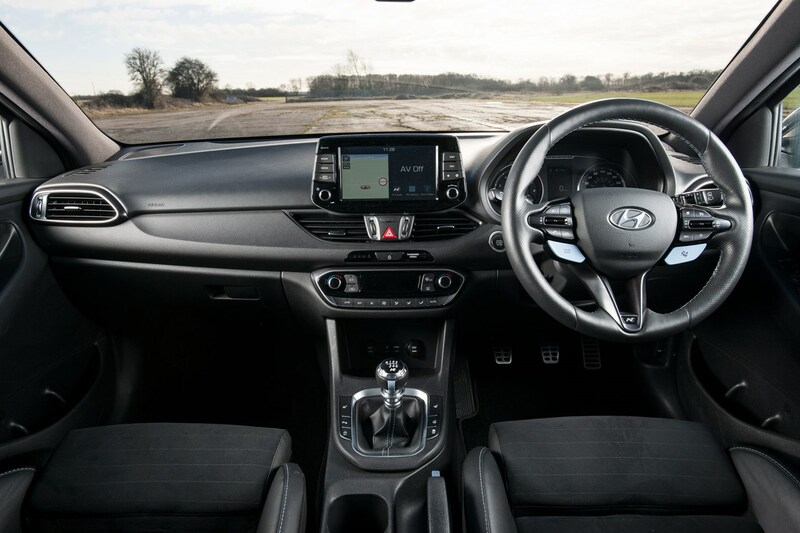 Quality is excellent, the driving position is spot on and the infotainment system is slick and easy to use. Add to that some characterful GTI hallmarks - tartan seats, golf ball gearknob and plenty of GTI badges - and it's a lovely place to while away the miles. 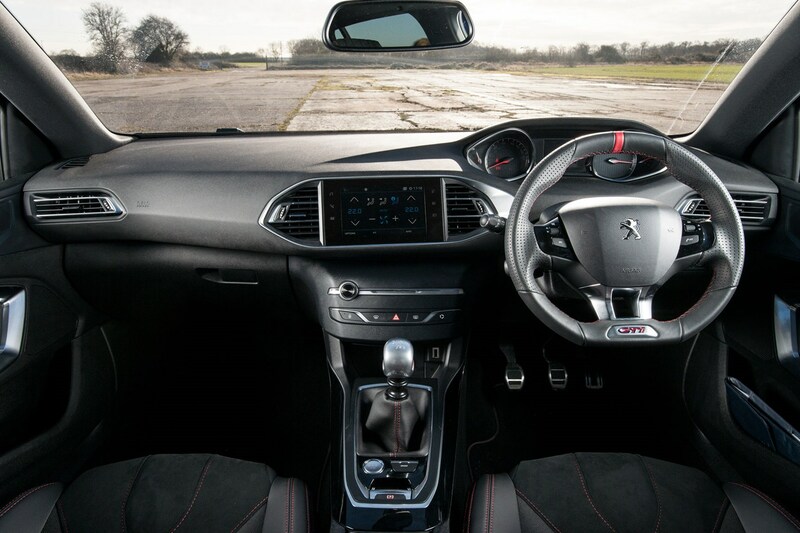 The 308's cabin may look fresh and modern, but it's also the least user-friendly. Controlling everything via a fiddly touchscreen quickly becomes frustrating, and not everyone will get on with the high-dial, low, small-steering wheel set-up. There's no arguing with the seats themselves and quality is good on the whole, but it's the least cohesive interior of the three here. 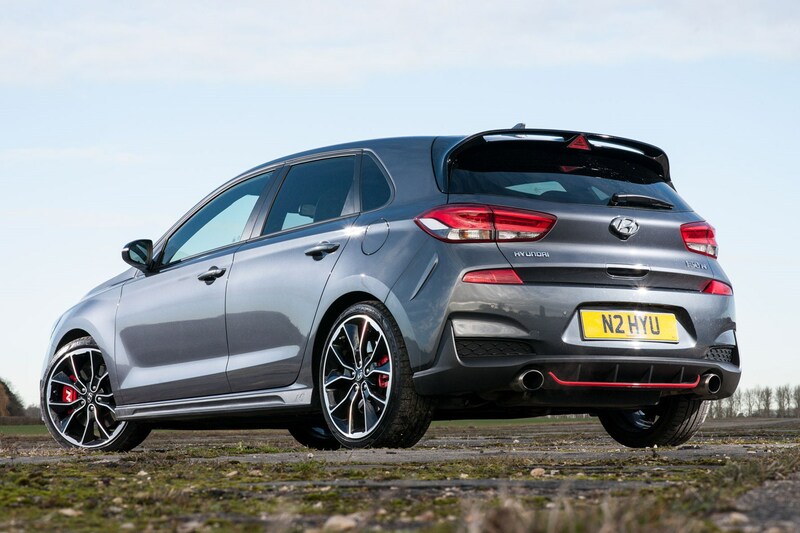 Hyundai claims the i30 N will return up to 39.8mpg, but if you make the most of the performance you won't get close to this. In reality, and when you're not enjoying every ounce of its ability, a figure in the mid-30s is possible. Its CO2 emissions are highest in this test, though, at 163g/km. If you're financing an i30 N, it'll cost £431 per month over 37 months, assuming a £3,000 customer deposit and 10,000 miles per year. VW betters the Hyundai with claimed fuel economy of 42.8mpg, and if you take it easy, it's avhievable. As with any car - not just hot hatchbacks - you'll quickly see this figure tumble if you want to have some fun. 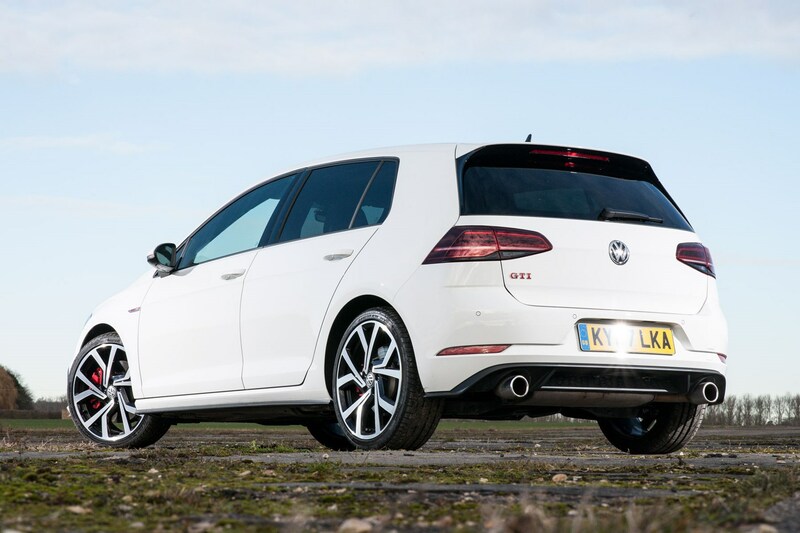 The Golf's CO2 emissions are rated at 150g/km. Under the same finance terms as the Hyundai (plus a £1,500 deposit contribution from VW), the Golf equates to £449 per month. The 308 trumps both cars when it comes to claimed running costs. Fuel economy is an impressive 47.1mpg (claimed figures), while CO2 emissions of 139g/km are also the best here. 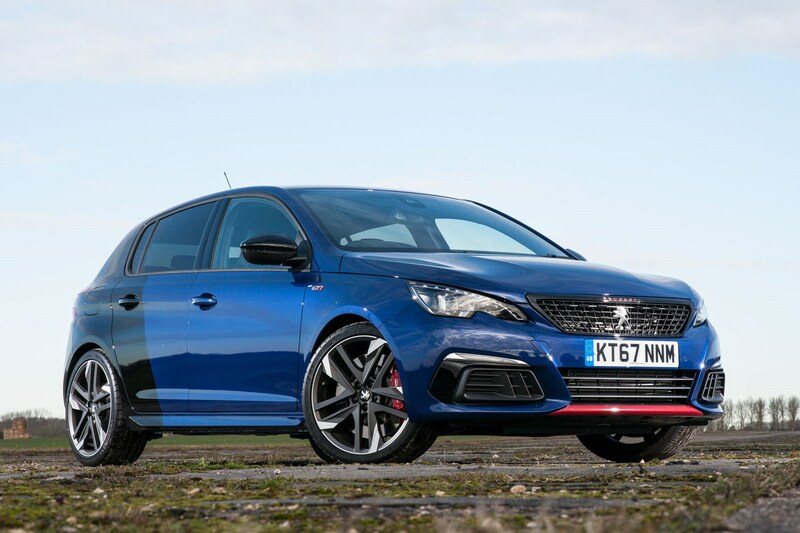 Finally, the 308 GTi will cost £439 per month, with Peugeot offering £500 deposit contribution. 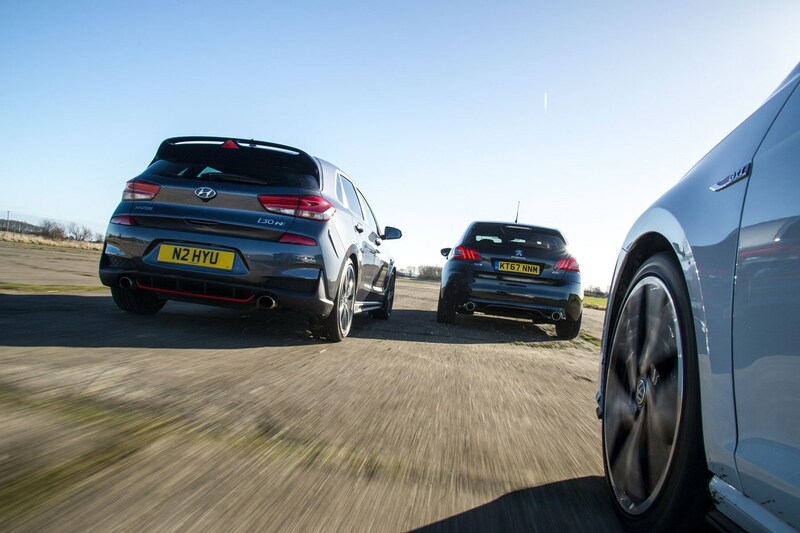 Whichever hot hatchback you choose out of these three, you'll picking an incredibly talented car. 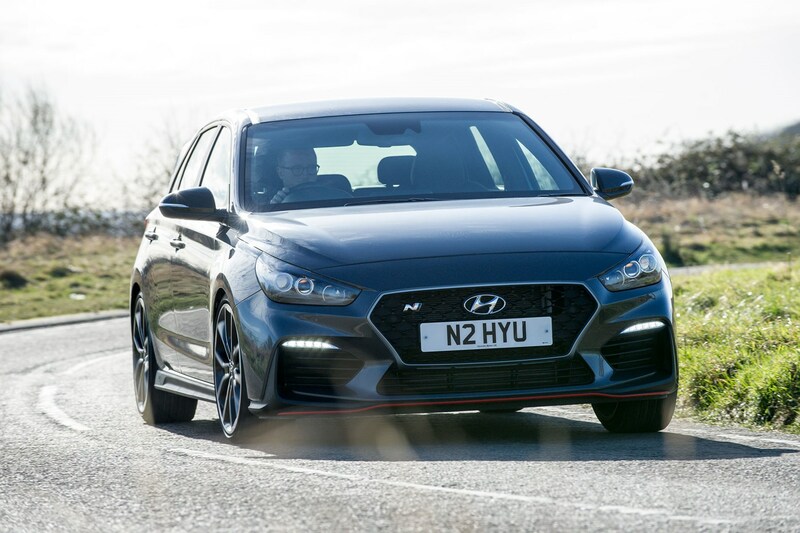 The newbie i30 N is an excellent addition not only to the Hyundai range, but also the hot hatchback class with an exhilarating drive and some serious talent when it comes to the corners. It feels like a more rounded version of the 308 GTi. 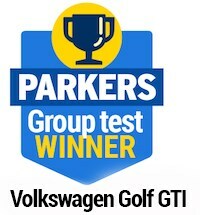 The win goes to the Golf GTI, though. While it isn't as enjoyable at the limit as the other two, it does still put a smile on your face and it manages to be the best all-rounder, which is what this test set out to find. It has the most user-friendly interior that's the nicest to be in, it's classy, still great to drive and is refined and comfortable when you're not in the mood to be driving like a lunatic. 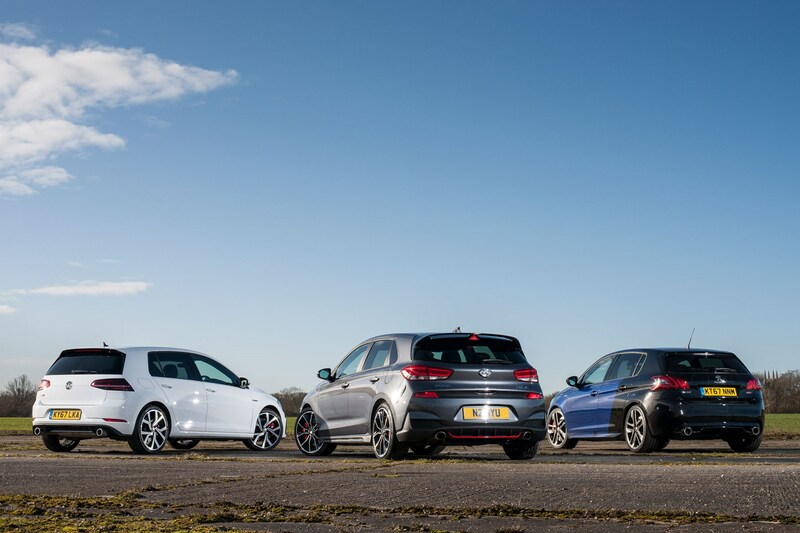 The 308 GTi and i30 N are the ones to go for if all you want is driving thrills - but it's the Golf GTI's ability to cover most bases with great talent that sees it win here. Just.